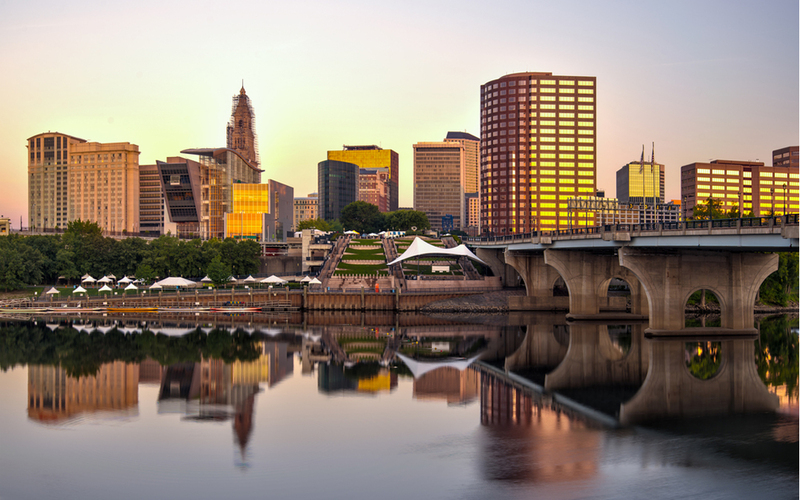 Connecticut lawmakers voted June 29 to approve $2.8 billion in transportation bonds. The money will be used to fund the first five years of Governor Dannel Malloy’s (D) “Let’s Go CT” program, a 30-year plan to upgrade the state’s highways and bridges, expand the rail system and bus service, and improve airports, ports, bike and pedestrian paths, and freight systems. The first $275 million in bonds will be made available in fiscal year 2016. Lawmakers also included language within the statute to block transportation funds from being diverted to other uses. However, this language fell short of the statutory ‘lockbox’ safeguard that Gov. Malloy had requested, which would have constitutionally protected transportation funds from transfers to other purposes.